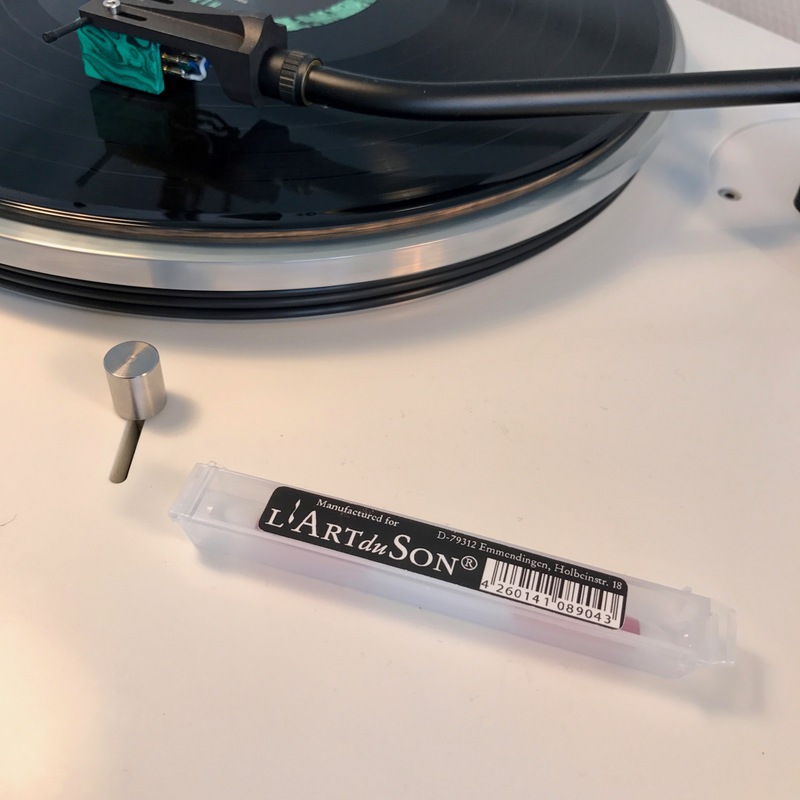 An easy and efficient way of cleaning the styluses of your precious cartridges. 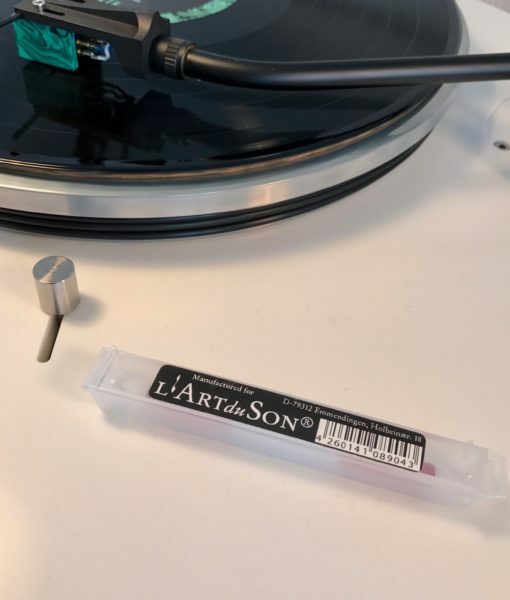 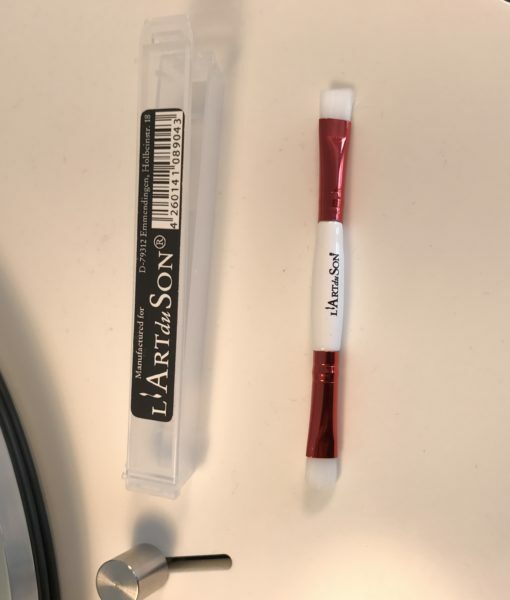 L’Art Du Son – Stylus Brush is designed to clean and thus enhance the playback abilities of the stylus of your cartridges. 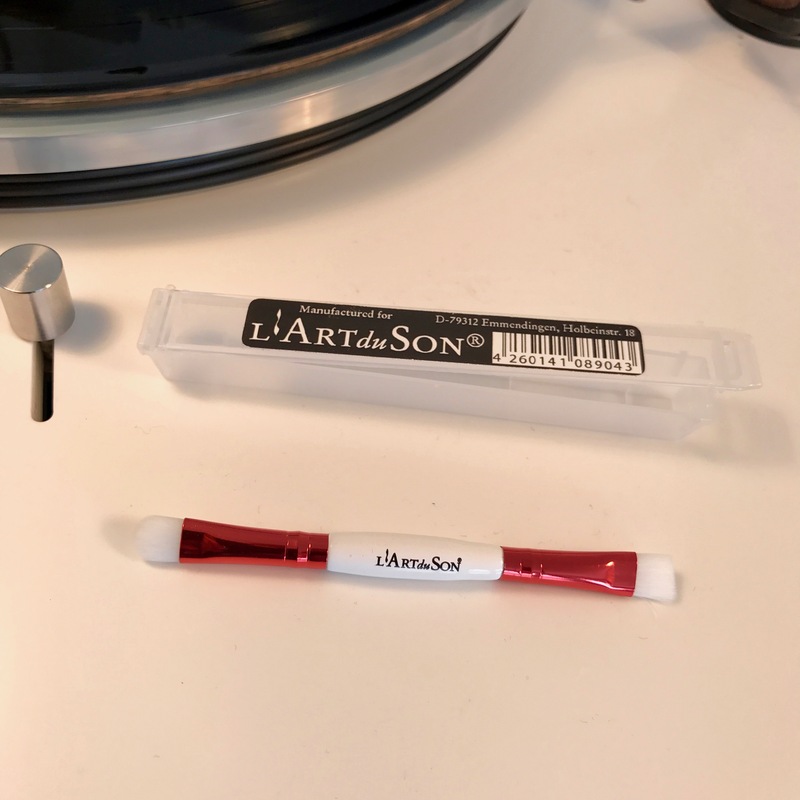 Simply brush gently your cantilever and diamond tip carefully from back to front with the Stylus Cleaner. 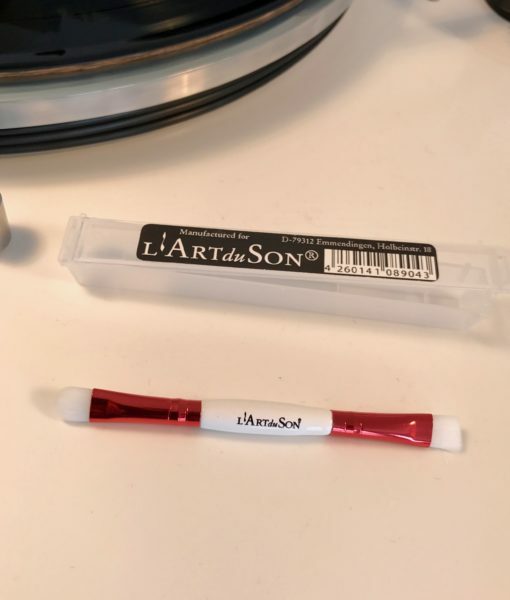 You can use it with your favorite stylus cleaner solution or dry. 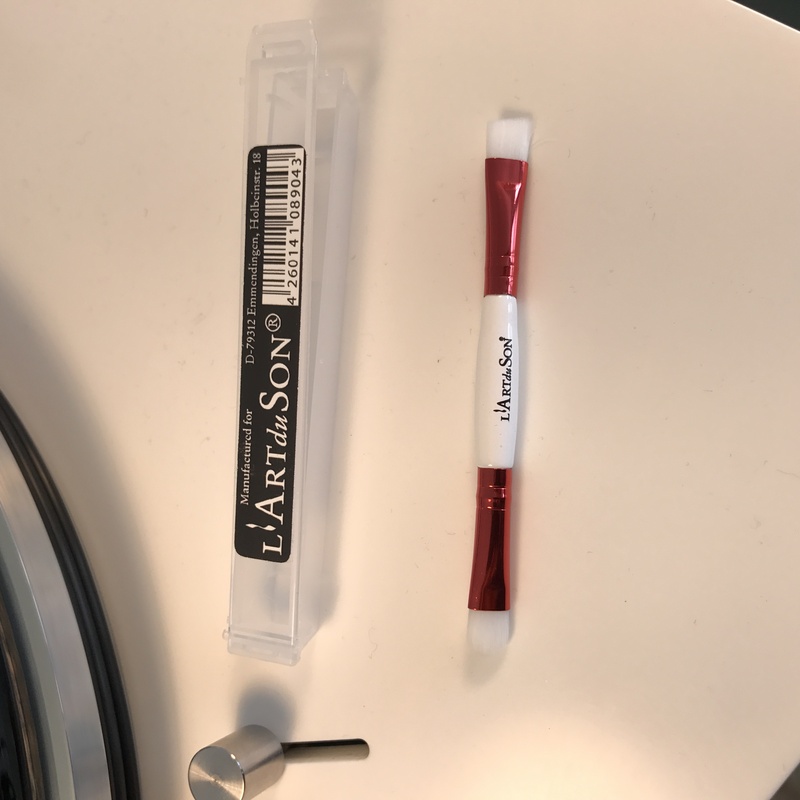 The white bristles are there for better visibility of your cantilever.